I'm thrilled to let you know that I'm going to be playing a show in Manchester with my band for the Night & Day Christmas Party on Saturday 22nd December. Manchester friends will know how much the venue means to me, and I was so pleased to be asked to play this. Tickets are available now from Ticketweb, See Tickets and all of the other usual outlets. 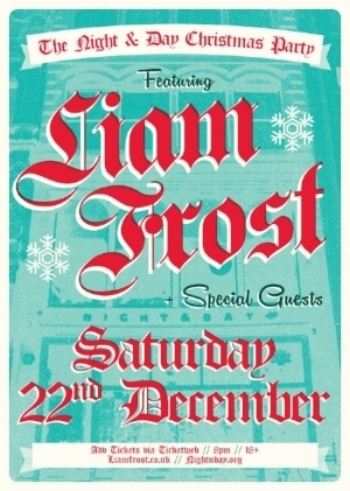 Expect festive fun alongside rock songs from my new album Liam Frost is the Latchkey Kid, available digitally at my PledgeMusic store now.